KGI Securities analyst Ming Chi Kuo has become the most accurate Apple seer around. Over the past several years, one analyst has risen above the rest to become the most reliable voice on all things Apple. His name is Ming-Chi Kuo, and his ability to accurately prophesy Apple’s future product plans is unparalleled. Fittingly, he is also incredibly mysterious. Kuo is back in the news with a report that the iPhone 6s — due in the fall — will have a new stronger case to make it less ‘bendable.’ The iPhone 6s will be made from the same tough-but-light 7000 series aluminum used in the Apple Watch (it’s also used to make bikes and planes). Kuo also predicts the 6s will come Rose Gold and a darker space grey, again, matching the near-black Apple Watch. Last month, Kuo reported a long list of features coming to the 6s, including a better, faster A9 processor, a Force Touch screen, a 12-megapixel camera, better Touch ID, new gestures and more. Kuo’s track record has elevated his Apple predictions to the level of gospel. He’s been called “the most accurate Apple analyst in the world” by Business Insider; and the “most reliable industry watcher on the planet when it comes to Apple” by BGR. How did he become so good at knowing what Apple is going to do next? Ming-Chi Kuo seems to have a real crystal ball, he’s so good at predicting the future. Who’s behind the crystal ball? Analysts love to say crazy things about Apple. 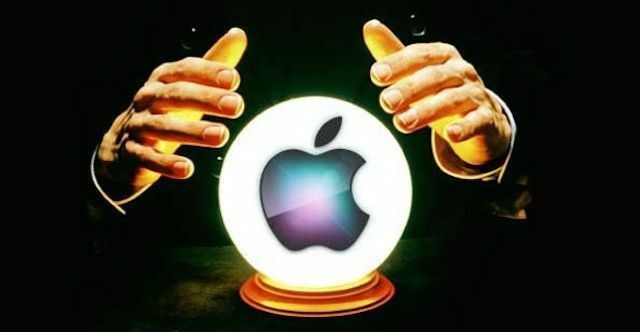 Whether they are predicting an iRing or declaring that Apple has just 60 days to release an iWatch or go belly-up, covering the asinine predictions of those in Kuo’s profession has become a running joke for tech bloggers. These often-ridiculous research notes, which get passed out to investors and the press, are often based on anonymous supply chain checks and shadowy sources in Asia. Kuo definitely works sources throughout Apple’s vast supply chain, and he might even have contacts within the company. He is expecting a lot from Apple in 2015, including two new iPhones, an iPad Pro with 12.9-inch screen, and sales of the Apple Watch to be 2 – 3 million units per month. There’s an element of mystery to Ming-Chi Kuo that makes him even more interesting to follow. He shuns the spotlight and doesn’t do interviews. There seem to be only three pictures of him on the entire internet, even when you search for his name in Chinese. What little we know about him is that he works for KGI Securities, the second-largest securities firm in Taiwan that has been around for more than 30 years. I have spoken with Kuo over email about his Apple research before, and he was quite cordial and helpful. He has not responded to requests for comment on this story. Even though he keeps a low profile, Kuo is definitely KGI’s most famous analyst. His predictions are mainly about Apple, but he also publishes notes on other companies from time to time. For instance, he correctly predicted that Amazon would launch a smartphone last year. 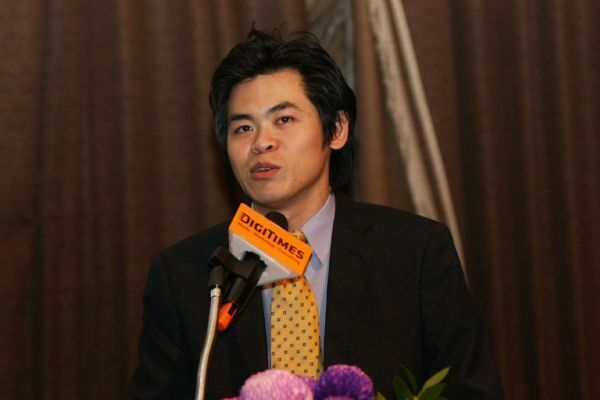 Analyst Ming-Chi Kuo when he worked for Digitimes, Taiwan’s hit-and-miss IT newspaper. According to Kuo’s LinkedIn profile, he has been at KGI since January 2012. Before that, he worked as an analyst for Concord Securities, another Taiwanese financial firm. Where he worked before Concord may come as a surprise considering the publication’s hit-or-miss reputation on rumors. 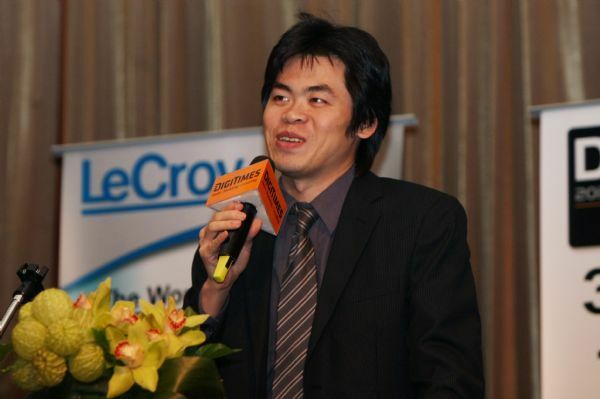 In 2010, Ming-Chi Kuo was a senior research analyst for DigiTimes, a daily IT newspaper which is also based in Taiwan. During his seemingly brief time at DigiTimes Research, Kuo accurately predicted products like the 11-inch MacBook Air and the fourth-gen iPod touch. But his track record wasn’t perfect. He also missed the iPad mini’s launch time frame by more than a year. Does he have sources inside Apple? An interview with Kuo on DigiTimes in May 2010 — which mentioned a secret Apple codename — suggested that he does. But since Kuo hasn’t shared his process, there is no way of actually knowing how he gets his information. One thing is for certain: he lets his research do the talking. Kuo’s roadmap for 2014 has some pretty obvious predictions and a couple of big gambles. Take his 2014 roadmap — released at the beginning of the year — in which Kuo accurately predicted Apple’s entire product lineup for the year, including new lower-cost iMacs; new iPad Airs and Minis; the iPhone 6 line; and the Apple Watch lineup, with the then-controversial prediction that some models would cost several thousands of dollars. The only thing he got wrong was an updated Apple TV set-top box with motion-tracking technology that would get rid of the need for a physical remote. Kuo also waffled about a dedicated App Store for the Apple TV, noting that “we don’t expect the iTV to debut before the TV ecosystem improves.” This might still be true, of course. After combing through his predictions from the last several years, it’s safe to say that Kuo is the most reliable analyst on Apple. And like the company he covers, he is an enigma. He generally plays it pretty safe with his expectations. While he isn’t always right when it comes down to the gritty details and specific time frames, he’s pretty spot on when it comes to the bigger picture. In a world of over-the-top, sensationalist predictions about Apple, Kuo remains a beacon of consistency and reasonableness. If you’re going to listen to an analyst these days, go with Kuo. New Apple TV with motion-tracking technology will be announced in the fall. Apple will unveil a 12-inch, redesigned MacBook Air with Retina display in the fall. A bigger 5.5-inch iPhone will ship separately at the end of the year. The 4.7-inch iPhone 6 is on track for a fall release with a 1334×750 resolution. Apple will unveil the iWatch in the third quarter. There will be two models with 1.3-inch and 1.5-inch flexible AMOLED displays. Expect wireless charging, a 200-250 mAh battery, a Sapphire cover, biometric recognition capabilities, and NFC. The third-gen iPad mini will get updated with an A8 chip and Touch ID while the current model will likely be sold at a lower cost. The second-gen iPad Air will be announced in the fall with an A8 chip, Touch ID, and 8-megapixel camera. Apple will release a lower-cost iMac in the second quarter. Apple will introduce the iPhone 5s in the summer. The fifth-gen iPad will be significantly thinner and lighter with new bezel, 7.5mm thickness, and 64-bit A7X processor. The second iPad mini will be Retina. Apple will kill the iPhone 4s and repackage the iPhone 5 in a cheaper, plastic model with multiple colors. The 5s home button will be convex instead of concave, and there will be a 128GB model. The iPhone 5s will feature a Sapphire fingerprint sensor in its home button, an A7 chip, an improved camera, a dual-LED flash, and come in gold. Apple will phase out the non-Retina MacBook Pro completely in the fall. The MacBook Air will not get a Retina display and instead get a processor upgrade to Intel’s Haswell chipset in June. Haswell also coming to the iMac. Deals with content providers are keeping Apple’s bigger plans for the TV at bay, so don’t expect anything major in that area until at least 2014. There will be a minor Apple TV refresh within the first quarter. Redesigned iPod Nano, iPod touch and iPhone 5 launch in September. Tweaked fourth-gen iPad will be released in the fall. iPad mini will be announced in September. 13-inch Retina MacBook Pro coming by end of year. Retina MacBook Pro coming at WWDC with SSD/HDD options and no disc drive. Apple will kill the 17-inch MacBook Pro. MacBook Air with Thunderbolt will go intro production in May. The iPhone 4s will feature slight design modifications from the iPhone 4 and come with A5 chip, improved camera, dual baseband. Fall release planned. Apple will ship the white iPhone 4 in April. Apple will not put a Retina display in the iPad 2.